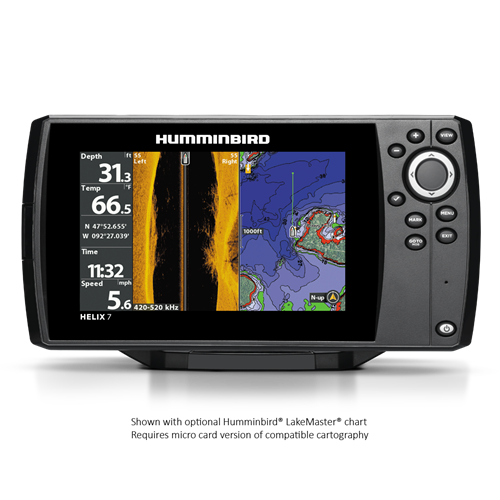 The HELIX 7 CHIRP SI GPS G2N features a large 7" display with LED backlight, CHIRP-ing Side Imaging, Down Imaging and 2D sonar. Includes GPS chartplotting, built-in Bluetooth, Ethernet networking capabilities, AutoChart Live with depth, vegetation and bottom hardness mapping. View low, mid and high Chirp ranges, either individually or all at once. 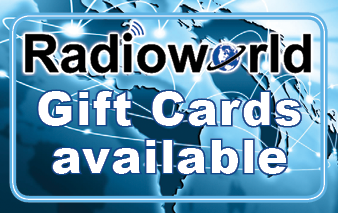 Boat performance, weather or water conditions, make sense of it all with our networking solutions. We have you surrounded. 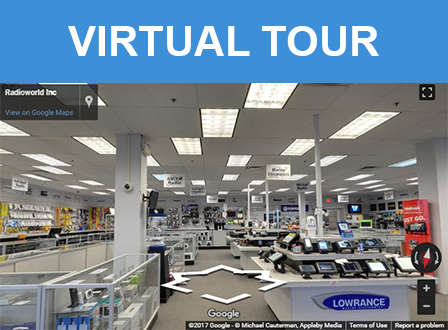 360 Imaging allows you to isolate your sweep, see 5 preset views or see all around you. Provides bright, crystal-clear images for easy viewing in harsh sunlight. GPS antenna built into the head unit. 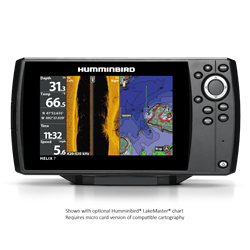 The Humminbird UniMap is a built-in map covering the contiguous US coastline, inland lakes and rivers at 30 meters per pixel resolution. 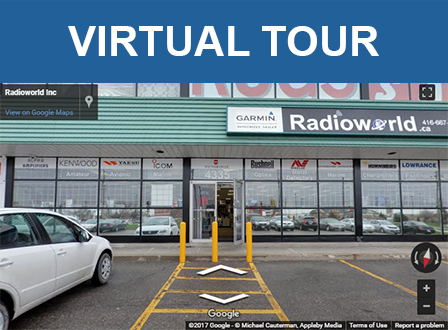 Gain a 180° side to side perspective on the world below the surface. Use for advanced cartography or to save your screenshots, sonar recordings and waypoints. Take command of how your sonar returns appear with our Clear and Max Modes. Access software updates to enhance the performance of your Humminbird unit through their My Humminbird section of their website. Surf the web, monitor weather and stay connected from the dock, offshore waters and in between.